See the steps from "Remove Engine Assembly with transaxle" through "Remove Automatic Transaxle Assembly" (See page ). 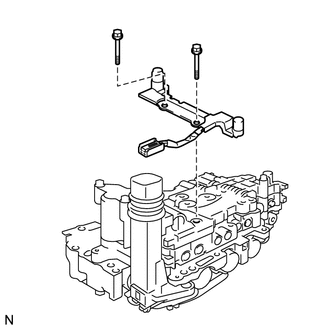 (b) Remove the 2 bolts and speed sensor from the transmission valve body assembly. (a) Coat the 2 bolts with ATF. 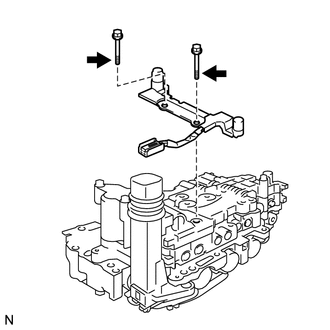 (b) Install the speed sensor to the transmission valve body assembly with the 2 bolts. (c) Connect the speed sensor connector. 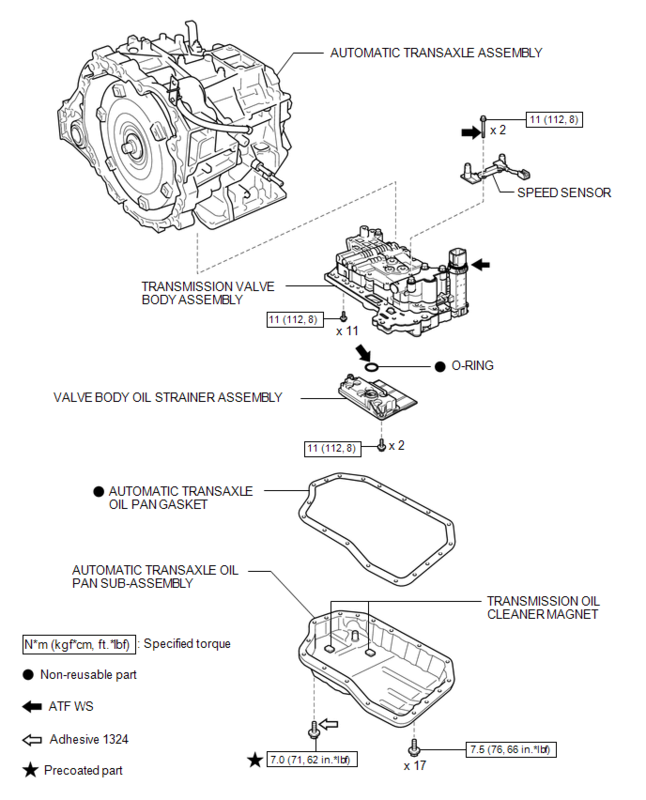 See the steps from "Install Automatic Transaxle Assembly" through "Install Engine Assembly with Transaxle" (See page ).